Everyone has an opinion on how, when, and where you should get married. They probably even had opinions on who you should marry. I'm not that guy, I'm Josh Withers, an Australian marriage celebrant, presenting a different way to get married, the rebel's way. This is the Rebel's Guide To Getting Married! I don't think many people understand that you don't have to pose, make weird faces, smile awkwardly, or be generally weird when you're getting your wedding photos taken. This episode features my mate, Morgan Roberts. People at your wedding, who should be there? When no-one has to be at your wedding, when no-one deserves an invitation, who do you invite? It's the vibe. I rest my case. This is a podcast about a part of your wedding that no-one talks about, the vibe. It's the very undercurrent of everything happening in your wedding. A super exciting Rebel’s Guide to wet weather backups, or, How I Learned To Stop Worrying and Love The Rain, or, Thunder Only Happens When It’s Wedding. Anyhow, this is the Rebel’s Guide to a wet weather wedding backup and what to do if it’s raining. 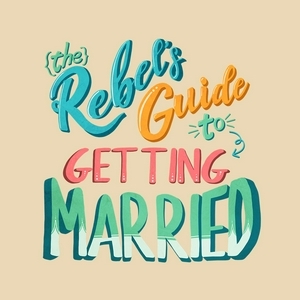 Why create The Rebel’s Guide? Why would I invest time and effort into creating this podcast and vlog? Because I think it matters, and I think you getting married matters. Bonus guest appearance from Luna Withers, my little girl. Did you know that you don't have to have a wedding photographer to get married? So if you are going to have one, why, and who? And how much? Don't listen to this episode if you are keen on a massive bridal party! Most wedding planning checklists are designed to scare the heck out of you. Here's one that will set you free.